Looking for an affordable home with room for your toys & critters too? This 3 BR, 2 bath home on 1 acre is it! 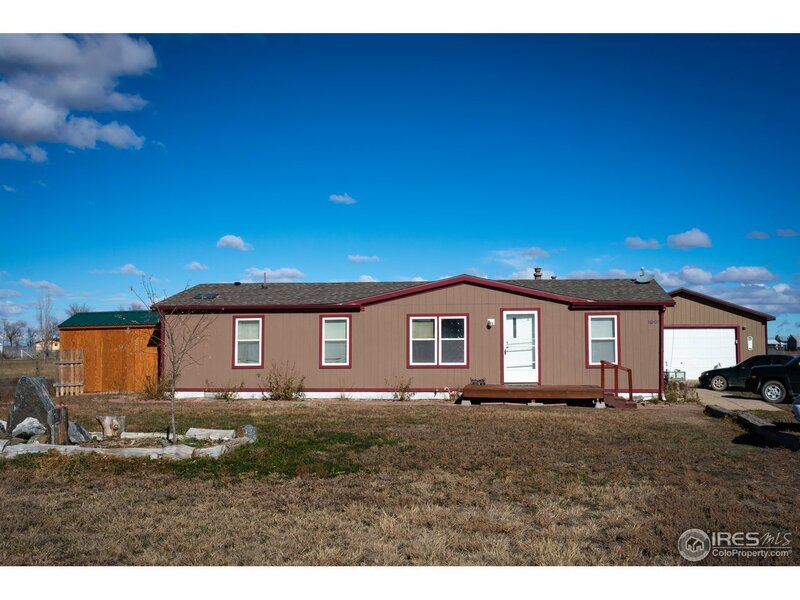 Open floor plan, tile floors, separate tub & shower in master, 2 oversized detached garages (24x36 & 18x25), fencing, loafing shed & outbuildings, insulated & heated shed next to house. Newer siding, water heater, carpeting, & newer Anderson windows on north side of home; PLUS roof was replace in 2017. Super close to Hwy 85 for an easy commute to Fort Collins, Greeley, and Cheyenne.